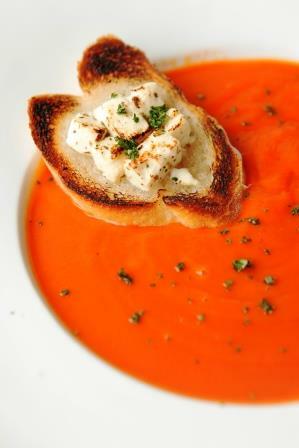 The ultimate comfort food… a bowl of soup, conjuring up images of chilly evenings. It’s warms you up and satisfies your hunger and your soul. The word soup is of Sanskrit origin deriving from su and po, which means good nutrition. The history of soup is probably as old as the history of cooking itself. Mixing a variety of ingredients in a large pot to create a nutritious, filling, easily digested, simple to make food. Communally served and appreciated. This made it the perfect food for all cultures, rich and poor, healthy people and invalids. Soup (and stews, pottages, porridges, gruels, etc.) evolved according to local ingredients and tastes. New England chowder, Spanish gazpacho, Russian borscht, Italian minestrone, French onion, Chinese won ton and Campbell’s tomato…are all variations on the same theme.